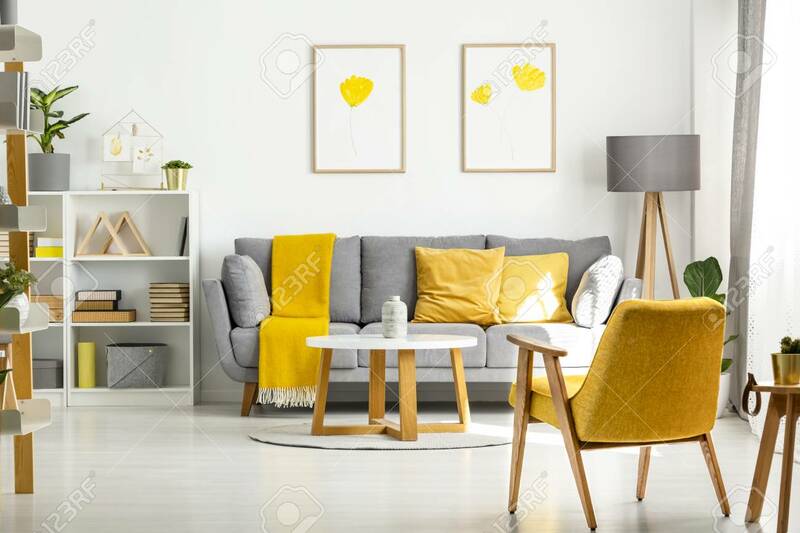 Yellow Wooden Armchair And Table In Living Room Interior With Posters Above Grey Sofa. Real Photo Lizenzfreie Fotos, Bilder Und Stock Fotografie. Image 105286343.